Childrens Hospital exists outside of a world of consistent timelines or backstories. In fact, if the show were to finally just say that the entire cast of the show-within-a-show were immortal beings who travel through time and space, no one would even need to question that. After all, that’s actually a backstory that makes a lot of sense given the source material. So while last week’s episode of Childrens Hospital told the origins of Nurse Beth and her one day experience as a doctor, that can’t even compare to this week’s origin story: the origin of Childrens Hospital as a part of 1950s comedy/variety show called The Show You Watch. Last season, Megan Amram wrote a Childrens Hospital episode that really capitalized on the flexibility of Childrens Hospital’s universe while also bringing in the world of fandom and fan fiction. “The Show You Watch” is an episode that confirms just how adept she is when it comes to the former, to a point where she’s almost too good at it. And those kudos also extend to Marco Fagnoli, who directed that episode as well as this week’s genre and mind-bending episode. 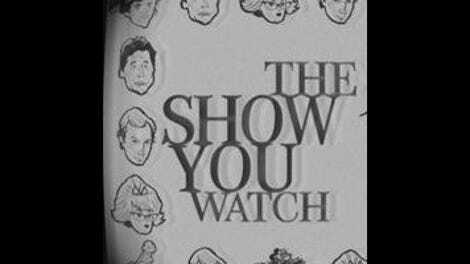 The general premise of “The Show You Watch” evokes memories of “Newsreaders” or “The ‘70s Episode,” but the episode itself is really so far out of this world that it’s not quite on the mark to to compare it to those or other past episodes. “The Show You Watch” just might be the most brilliant episode of Childrens Hospital ever, and yet I’m still not quite sure what exactly to make of it. As far as performances go, this episode allows the cast to stretch their acting muscles in a way that’s different from anything else they’ve really done in other experimental episodes or even with typical wackiness and goofiness of the show. Just the cadence of the material in this episode is a change of pace, with the only similar episode in this sense being“Childrens Hospital: A Play In Three Acts.” But that’s still not a perfect comparison. The first sketch in The Show You Watch, “A Night At Sea,” is a vaudevillian, old timey joke machine, while the second one, “A Real Pickle-Lover” is a song and dance routine; and those simply aren’t things you see every week on Childrens Hospital, no matter how bizarre it gets. And then the episode changes it up even more with “The Childrens Hospital,” which reminds the audience of a fact that is often so easy to forget: The show-within-a-show version of Childrens Hospital is very much supposed to be a drama. So when “The Childrens Hospital” elicits no audience response except “oooh”s at the reveal of Lola and Glenn’s affair, the reminder sets in. Of course, just like normal Childrens Hospital, everything is too ridiculous to really be taken seriously, and in this case, that reminder comes in the form of “moon swimming,” Lola and Glenn’s “one nine day weekend,” and Huebel channeling his inner Mike Detective in his performance. I’ve used the term “labor of love” before when it comes to certain episodes of Childrens Hospital, and naturally, this episode falls under that umbrella. But ultimately, everything about Childrens Hospital is a labor of love, right down to its extremely busy cast and their never-ending ability to give it their all. That’s present in this episode of course, as Ken Marino, Rob Huebel, Erinn Hayes, and Megan Mullally all don their show-within-the-show alter egos (while Ballers’ Rob Corddry is a clown named Flake) and make their way through the world of The Show You Watch. The cast gets to strut their stuff in this episode with both the Titanic and the pickle musical sketch, with Hayes’ rude, posh, r-rolling character working as a standout of the former and Ken Marino showing off some unexpected song and dance skills in the latter. By the way—given the way women are treated and perceived in the sketches in this episode of The Show You Watch, it’s a good thing Childrens Hospital broke off and discovered feminism in the ‘70s. As it stands now, “The Show You Watch” ultimately feels more impressive than anything else, and the question becomes one of where it falls in the pantheon of Childrens Hospital episodes. This is an episode that even changes up the aspect ratio and the production cards just to have an authentic feel! But in terms of rewatchability, it’s difficult to shake the idea that the episode won’t necessarily be at the top of the list when up against other episodes. 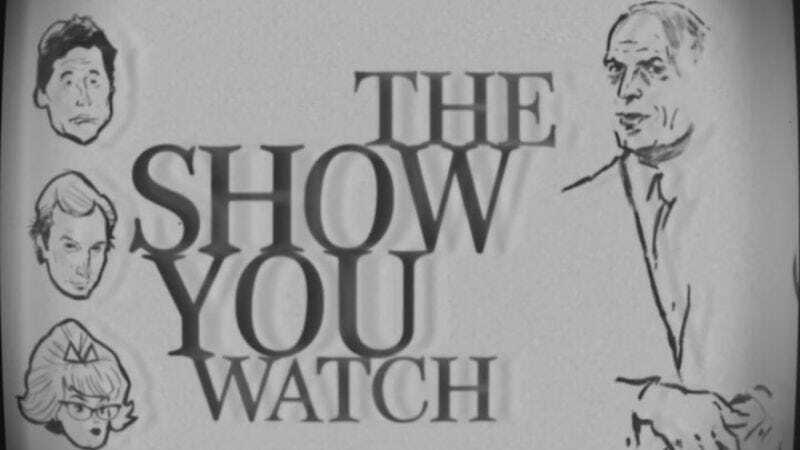 “The Show You Watch” isn’t just an ode to the ‘50s variety/comedy show—it’s a lofty experience in anti-comedy as a whole, and that’s not necessarily the making of the most rewatchable episode of this show (and definitely not an entry point for newbies). Is it the funniest episode of the series? No. But again, it might possibly be the most brilliant, and where does that land an episode of television in a show like Childrens Hospital. Is it atonal? What exactly is atonal in a show that changes its tone every week? As of this review, I’ve watched the episode three times and noticed new things the second time around. I’ve found myself in awe and inspired by this episode, but I also acknowledge that it’s not for everyone (not that Childrens Hospital is, generally) or that it even will land with every Childrens Hospital. It is a very impressive episode of both television and Childrens Hospital, and while Comedy Bang! Bang! did its own ode to ‘50 comedy/variety shows a while ago, I can honestly say that neither episode is truly alike. Comparing the episode to past episodes as well as the source material in comedy/variety shows like Your Show Of Shows or even The Ed Sullivan Show is a completely different animal than comparing it to other shows within the same genre, no matter how much of a comedic sensibility they may share. For the most part, “The Show You Watch” is an episode you need to be prepared for, which is a quite the statement in a show that prides itself in being jarring in its constant changes in tone and storytelling. Megan Amran has taken Childrens Hospital to whole other levels with her episodes so far, and as such, it can be read just as uncomfortable as it can be read subversive. Think about when already unnerving character Rex Hilliard (Toby Huss) brings up how a lot of people died on the Titanic and the easily excitable crowd falls to a hush. A crowd that—in an example of the episode making a point—will laugh at anything if you say it quirkily enough (“I’m what you call a reeeal alcoholic.”). It’s a singular moment that feels like it lasts an eternity. That’s how awkward it is, and that’s a feeling that never quite goes away in this episode. It’s the experimental episode of an already experimental show, and that’s what makes it so difficult to put a finger on it. Even in this form, Childrens Hospital still has what truly makes it Childrens Hospital: Everyone is banging each other and having end of episode make-out sessions. Chandler’s Tomato Soup, huh? Could it be any more product placem— I’m sorry. “Forever brine” in the pickle song is such a lame pun, but I’ll admit I loved it the most. After Lola sobbing in the background as Glenn smokes a pipe. In a hospital. In case you were still wondering if cigarillos are cool again, the two mentions in this episode should remind you they were at least once cool. Now we know that there is a scarier version of Blake, just waiting to escape and throw guts on everyone. Wow, Owen really laid into Glenn with that punch, didn’t he? It was almost as visceral as the surgery scenes in this episode. Glenn’s origin story: His last name was Rosensweig, and then he changed it to sound less “Jewy” (Owen’s word). As the episode ends and the credits role over “The Show You Watch Players,” the Childrens actors are in their true form, even in the ‘50s. Just Falcon has a goatee, having not yet reached full beard status; Lynn Williams has her unibrow; Rob Huebel has his mustache. And while Corddry doesn’t get to be a Spindell in this episode, he does carry on the legacy of Blake being the worst (even as Flake)—Flake honks Lynn’s breasts and puts his head up Jane Bentick-Smith’s dress, only to get the crap beaten out of him by the cast.